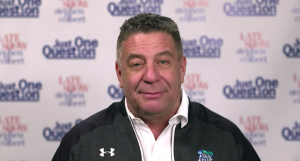 Mark Ennis is a staple of the college football community throughout the entire Twittersphere (@MarkEnnis), and you’ve probably hated any number of his tweets over the last few years. In addition to all of that, he’s a contributor over at Card Chronicle and is the host of Louisville football/basketball pregame and postgame shows on ESPN 680 and 93.9 The Ville in Louisville. 1. 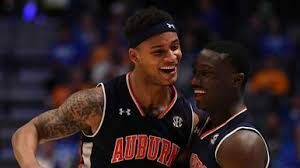 What is the common Louisville fan’s thoughts on Auburn? There’s actually a decent amount of sympathy and identification with Auburn among Louisville fans. Both are the “other” team in the state. Both have to deal with some fans of the other school that can be unbearable and seem to be just slightly TOO invested in their team’s success. I mean, poisoning beloved old trees? That’s something a crazed Kentucky fan would do if there were any trees anywhere near Louisville’s campus. We feel your pain. And there’s a plenty of respect, too. 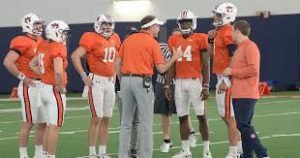 Cam Newton and a national title were just five years ago, and playing for another title and winning the SEC two years ago was really impressive so early in Malzahn’s tenure. 2. Given his road-rashed past, what were your thoughts on taking Petrino back? Did most of the Louisville fanbase agree? Me personally? I wasn’t particularly happy about it. I thought they were healthy enough as a program that they didn’t really need to make a move that had any PR risk at all. I think the average fan in this town remembers that Louisville not only won a ton, but they were fun to watch doing it, so they were pretty well open minded to the move. You have to remember, athletic director Tom Jurich has rarely made a major personnel or PR blunder, so the fact that he put his own neck on the line for the move was really enough for most people. And to Bobby’s credit, a year and a half into the move, he’s doing just fine. 3. 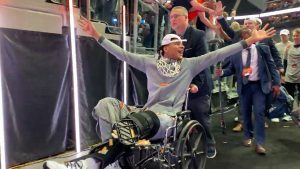 Both Auburn and Louisville have guys that were starters at Georgia two years ago (Josh Harvey-Clemmons and Tray Matthews), and both happened to be part of one of the craziest endings in Auburn history. That’s pretty weird, huh? 4. What’s the vibe like in Louisville for this season? Louisville fans are, and this will sound funny, extremely cautiously optimistic. I mean that. They know the offensive line and quarterback battles are going to probably mean another slow start for the offense. However, they know if you ever wanted to have questions on offense, Petrino is one of the guys you’d want to have them with. Defensively, Louisville will have the best starting eleven defender it has probably ever had when it takes the field in Atlanta. 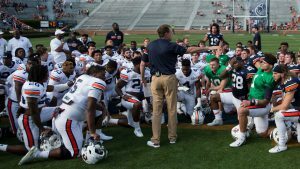 So, even though most know that Auburn is a tall order, the other eleven games are winnable and there are high hopes for 2015. 5. Name two under-the-radar Cardinals that Auburn fans should worry about. I think everyone knows Sheldon Rankins and the linebackers, but, so one guy I think that will be vital for Louisville to have a good game defending Auburn is nose tackle DeAngelo Brown. He does fun stuff like sack a lineman and the quarterback at the same time. He’s really the perfect nose tackle for a 3-4 defense. He’s wide, doesn’t get moved, and eats up a ton of space so James Burgess and Keith Kelsey do what they do best: run. Offensively, everyone knew Michael Dyer, but by the end of 2014, Brandon Radcliff was Louisville’s best running back and it really wasn’t all that close. I’ve rarely seen one guy tackle him and even more rarely seen him go backwards. In about a half of a season of work he piled up runs like this one against Boston College, or this one against Syracuse. Honestly, he’d be amazing in Auburn’s offense. You’ll see a ton of him on Saturday. I think both teams have exactly the same advantage over the other. Auburn is replacing some offensive line pieces and Louisville, like I said above, has probably the best front seven it has ever had. Meanwhile, Auburn is going to be in a much better defense with Muschamp in charge and there’s no shortage of really good defensive linemen on that roster. Conversely, Louisville will most likely be starting four linemen that have never started a game before and could even start two true freshmen. Gulp. 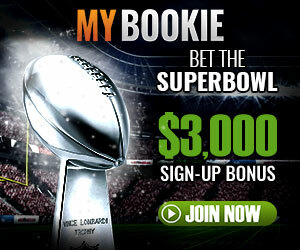 Well it sure as hell isn’t Bo Jackson (I’m a lifelong Tampa Bay Buccaneers fan)! Off the wall a little, I loved Philip Lutzenkirchen. I thought he was perfect for how they used him, he looked like a true throwback football player, his name was Lutzenkirchen for crying out loud, and by all accounts he was an exemplary person. You can’t not like any of that. Also, was always a huge fan of Takeo Spikes. I can’t with certainty tell you why. I just always thought he was what a modern linebacker should look like. And he was a great player. 8. Bottom line: what’s your analysis and score prediction for this weekend’s game? 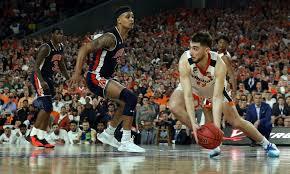 I think Louisville will defend Auburn probably better than anyone really expects them to be able to. But I really have a hard time seeing Louisville be able, with whoever they pick at quarterback and four new linemen, to generate enough offense to win. I think Auburn wins something like 31-21. 9. 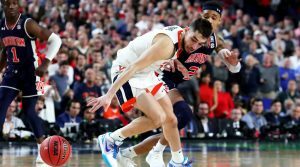 Where will Auburn and Louisville end up this season? I think Auburn will probably win the SEC. And that very likely means they’ll be in the playoff even if they’re not undefeated. I think Louisville is tracking for a season very similar to last year where they won 9 games and were still in contention for a major bowl at year’s end. If they beat Clemson in week 3, they’re going to win the ACC Atlantic. 10. 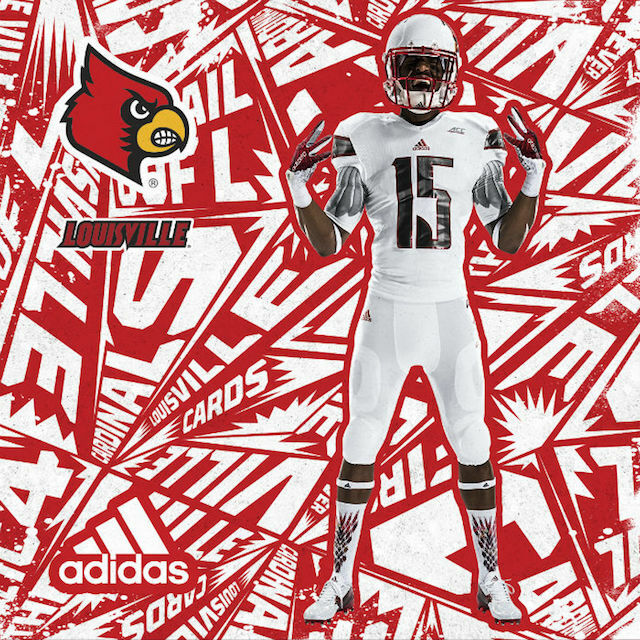 Lastly, what exactly is going on with these alternate uniforms that Louisville will be wearing this weekend? Don’t admit to liking them please. I think the Final Fantasy bird thing is beyond bizarre. I really hate it. The rest of it really doesn’t bother me. Hopefully the game will be like Tecmo Bowl where they always play in one direction and I never have to see that side of the helmet.